Recently I purchased a 1920x1080 LED monitor and since then I prefer the taskbar on the side. Went blue this time, playing with Cairo-Dock, discovered I liked the clock on the desktop instead of the dock. 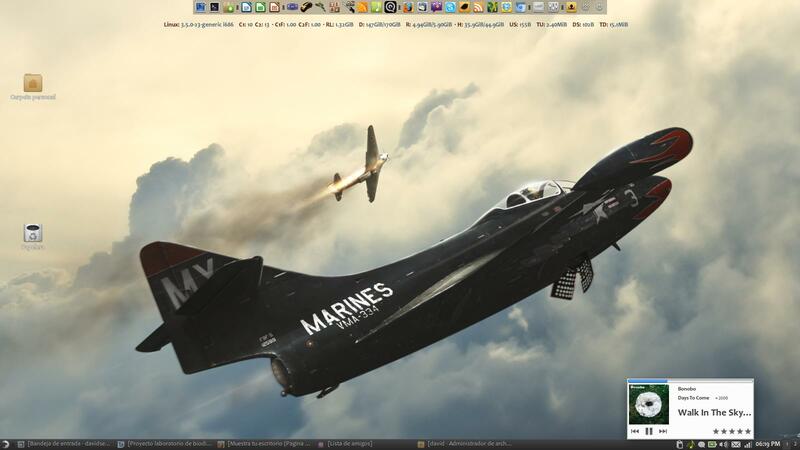 And while I have a 1920x1200 monitor, I still like the taskbar on the bottom. Mint-14 Xfce setup for a Toshiba laptop, with new cobibird theme, and the new xfce dockbarx plugin. Liked it so much decided to slap it on the desktop too. 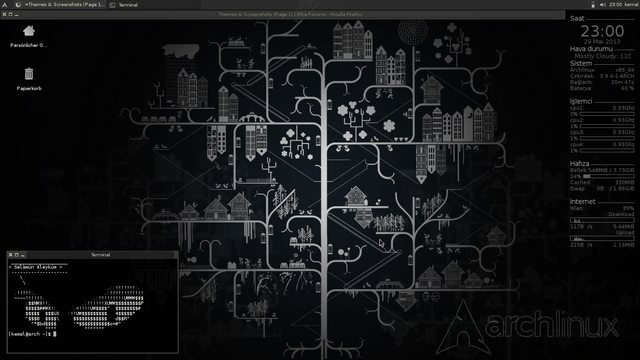 I love this theme, where can I find it? 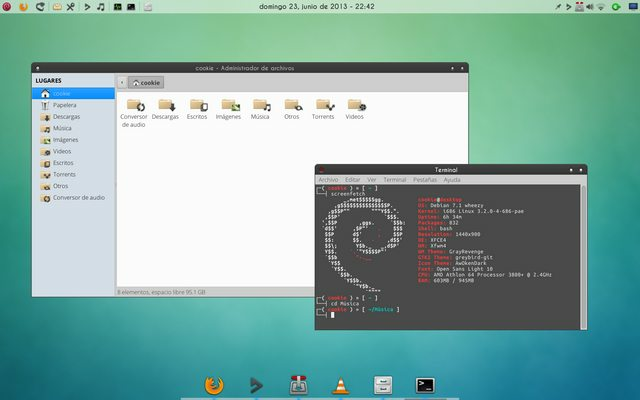 XFCE with custom Gnome 2 like menus. I used the files posted on xfce-look (http://xfce-look.org/content/show.php/?content=154073) but needed to modify the system menu a bit. I prefer the Gnome2/MATE style menus, but xfce is a much better DE all around. 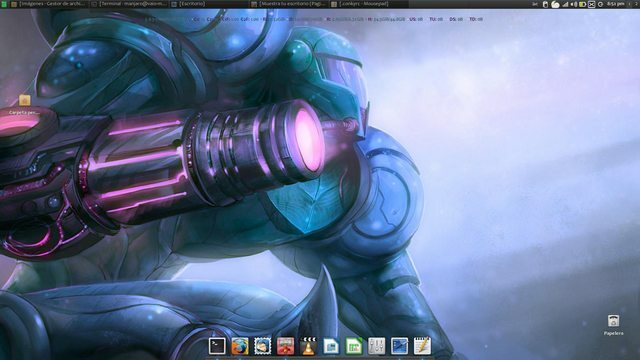 I use compiz and the ubuntu light theme. The weather applet is helpful as much as the date in the time applet. The upper bar looks good with a hight of 25 pixels which is smaller than standard. The task bar is located on the bottom at the right of the quick starters. The application menu offers the places menu and user menu (“lock screen”, “shut down”, etc) from a clean xfce4 installation. The volume element unfortunately has never been seen in the default xfce4 setup. New around here. Xfce 4.10 in Debian Wheezy. Here is my desktop. The desktop icons were a bit of a pain. The devs really need to sort that out!